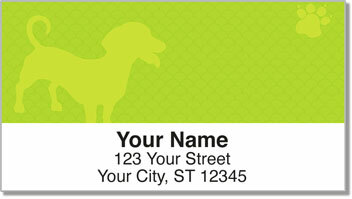 These funky return address labels pay tribute to dogs that are a ton of fun, and just a bit funny-looking. Dachshunds do look a little awkward with those short stubby legs, long bodies, pointy noses and floppy ears. But these little guys are also full of energy! 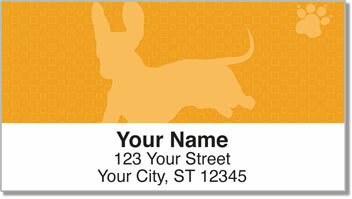 Wiener Dog Address Labels from CheckAdvantage depict the darling dachshund with bright neon colors. It's the perfect style for dogs that never fail to make us smile! Use this unique item to make preparing mail quick and easy, or mark all sorts of personal property with your name and address. 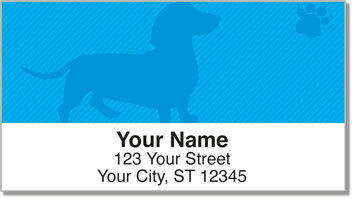 Get your very own Wiener Dog Address Labels today! 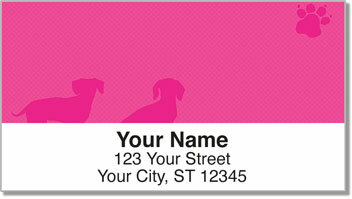 This delightful doggie design can also be ordered as a set of personal checks!